My mind is always blown away when I read reports like the one issued by the Washington State Department of Ecology finding 5000 toxic chemicals in everyday children’s products. Our children are the most vulnerable population, besides the elderly, to toxins, yet our addiction to cheap goods made overseas puts them at risk. From car seats to Wal*Mart dolls, our children are exposed to thousands of toxic chemical every day. Over 5000 children’s products contain toxic chemicals linked to cancer, hormone disruption, and reproductive problems according to reports filed with the Washington State Department of Ecology (Ecology). An analysis of the reports by the Washington Toxics Coalition and Safer States found that makers of kids’ products reported using a total of 41 chemicals identified by Ecology as a concern for children’s health, including toxic metals such as cadmium, mercury, and antimony, and organic compounds such as phthalates. Major manufacturers who reported using the chemicals in their products include Walmart, Gap, Gymboree, Hallmark, and H & M.
Hallmark party hats containing cancer-causing arsenic. Claire’s cosmetics containing cancer-causing formaldehyde. Walmart dolls containing hormone-disrupting bisphenol A. The chemical reports are required under Washington State’s Children’s Safe Products Act of 2008, which requires major companies making children’s products to report the presence of toxic chemicals in their products. 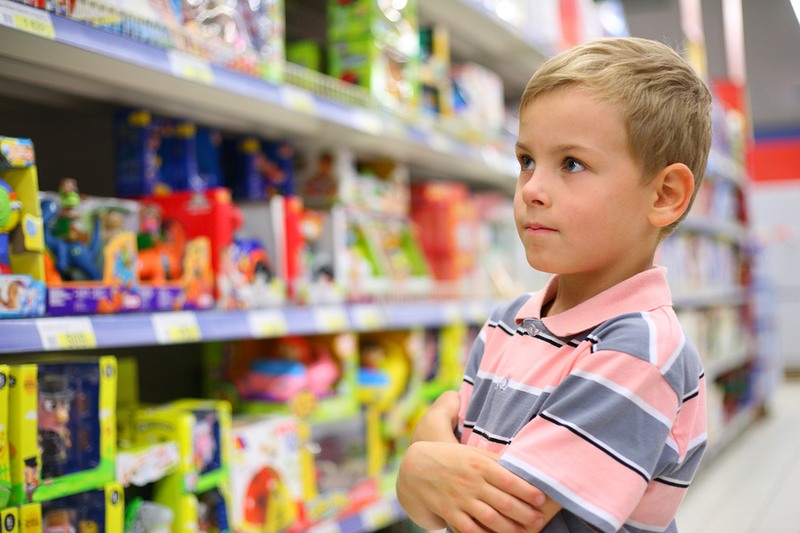 The reports cover certain children’s products sold in Washington State from June 1, 2012 to March 1, 2013. More than 5,000 products have been reported to date as containing a chemical on Washington State’s list of 66 Chemicals of High Concern to Children. Products reported so far include children’s clothing and footwear, personal care products, baby products, toys, car seats, and arts and craft supplies. Toxic metals such as mercury, cadmium, cobalt, antimony, and molybdenum were reported, with cobalt being the metal most often reported. Manufacturers reported using phthalates in clothing, toys, bedding, and baby products. Other chemicals reported include solvents like ethylene glycol and methyl ethyl ketone, and a compound used in silicone known as octamethylcyclotetrasiloxane. As a parent, this information is overwhelming. Fortunately, there are alternatives to most of these products that are not toxic. Shopping at eco-friendly stores makes it easier. Avoiding Wal*Mart is always a safe bet. Advocates in many states have attempted legislation to protect our children. In Washington state, the Toxic-Free Kids and Families Act (HB 1294) was opposed by the chemical industry and Wal*Mart. It failed in the legislature; however, it is the “first state to have a comprehensive chemical reporting program”. That chemical reporting program is a result of the Children’s Safe Product Act that became law in 2008 and resulted in this report. Public information is the first step to empowerment.